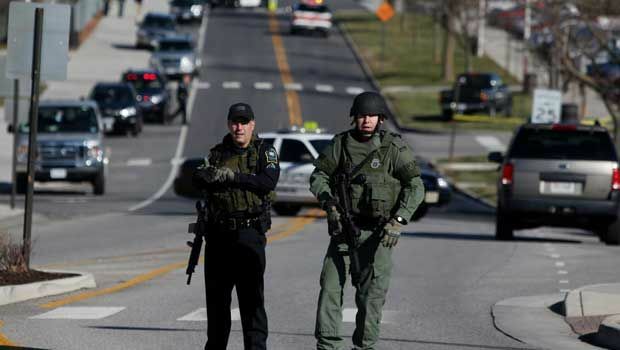 Unfortunately, the Virginia Tech community suffered another tragedy yesterday with the news of the murder of a police officer and the subsequent suicide of the shooter on campus. Campus officials did their best to communicate with students, faculty, and staff–and I’m aware of no complaints about the campus response. The New York Times has an interesting article regarding the intrepid journalism of VA Tech’s newspaper via Twitter. Having a very strong emergency services background, I would say you could move the “Social media fills void during shortages” up in to the access area a little more. With the electronic age you can almost listent to any kind of radio traffic you want to over an internet feed. With having audio access only delayed by a few seconds of lag, you can all but hear live radio traffic. This therefore will let you update your social media almost instantly. 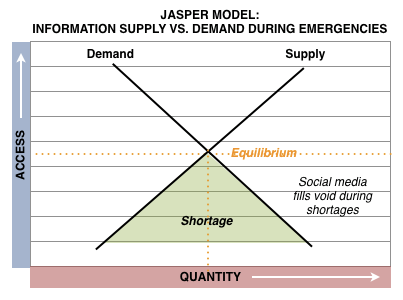 One of the missing pieces to the Jasper model is the relative value of information obtained via Social Media in a crisis or emergency. By opening the flood gates of rapid response information, there is additional risk for the dillution of the quality of information that must be considered. Having more of something to rapidly adjust the balance between supply and demand may not always be the best solution, and has to be considered. It is also important to recognize and differentiate between information, and intelligence. By way of a parallel example, the number of roofing contractors in a geographic area is overwhelmed by the demand. The void in the supply is often filled by roofing contractors that may represent a much lesser quality (and higher risk) than during a steady state of meeting day to day roofing needs. These same “disaster response” contractors also likely come at a much higher post-disaster cost. Disaster response contractors may be less carefiully scrutinized, and as a result the quality of workmanship and materials can be much less certain. Disaster response contractors may not be properly bonded or insured, presenting liability problems for worker injuries, and warranty issues for faulty workmanship, The disaster response contractor often times from outside the area may well be long gone by the time problems surface, and by then its too late to do anythign about it. The challenge in assessing a flood of information in an emergency or crisis situation is scoring or valuing that information based on its credibility; often from an unknown source, or perhaps even a source that has earned trust on some level. People providing rapid information in an emergency or crisis situation via Social Media may also be filling a void with credible information, but based on a microscopic view, which is unaware of, fails to see, or may not understand the big picture. One of the major risks in Homeland Security and Emergency Management in the near term may be the purposeful sharing of mis-information via Social Media in an emergency response. Mis-information intentionally provided by bad actors may be purposefully designed to drive public behavior which is counter to the goals and objectives of the response incident command structure. Such sinister clandestine activities may well result in forcing the incident command structure to have to wage a battle on multiple fronts, as the flood of non-credible; or intentional mis-information in an emergency or crisis becomes a force multiplier to the initial hazard. The Jasper Model of information supply and demand while beneifical may be just the first step in identifying a potential problem, than it is in recognizing a valuable solution. Now that the potential problem may be identified how does the user of the flood of information via Social Media apply an engineering process to vet information for credibility? How does the user also then value information to convert that into actionable intelligence that is practical, sound, and most importantly safe in an emergency situation?